Here you can find all info about Afghan Kush from Zativo. If you are searching for information about Afghan Kush from Zativo, check out our Basic Infos, Shop-Finder and Price Comparison, Lineage / Genealogy or Hybrids / Crossbreeds for this cannabis variety here at this page and follow the links to get even more information - or list all Afghan Kush Strains (±10) to find a different version. If you have any personal experiences with growing or consuming this cannabis variety, please use the upload links to add them to the database! Afghan Kush is a mostly indica variety from Zativo and can be cultivated indoors (where the plants will need a flowering time of ±53 days) and outdoors. 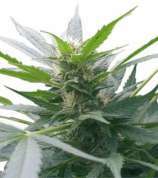 Zativos Afghan Kush is/was only available as feminized seeds. Afghan Kush is an easy to grow strain that offers the sterotypical, world famous body buzz that is associated with indica. Afghan Kush is a landrace strain from Afghanistan and boasts a quick flowering time of 7-8 weeks. You are getting a solid classic here that takes cannabis to its roots – you will not be disappointed. Kush, much like Skunk, is one of the recognizable and famous names of the cannabis indica family. Our Afghan Kush cannabis seeds perfectly capture everything that is cherished and loved about this line of indica; offering growers quick growing times, decent yields and a full on body stone. This is an indica classic that is sure to win a place in your heart. The name Kush pays homage to Hindu Kush, a mountain range that stretches between central Afghanistan and Northern Pakistan. This is the geographical location that Kush strains are said to originate from, and ours is no different - our Afghan Kush was originally found growing wild on the slopes of the mountain ranges in Afghanistan. When smoked, Afghan Kush will fill your mouth with the taste of pungent, earthy hash. It induces a strong but relaxing body stone that seeps throughout your entire being, easing you down in to comfort and bliss. It is perfect for use after a long, tiring, physically exerting day – when you want to unwind on the sofa with your significant other or chill in the garden with friends. This is straight forward, no frills indica at its best. Medical users will appreciate this as an evening/nighttime smoke. Afghan Kush has a good couch-lock potential, should you be that way inclined. Users will also feel a benefit from its ability to reduce the symptoms of stress, anxiety, pain, insomnia and lack of appetite. Much like the wild variation of these seeds, our Afghan Kush marijuana seeds develop into a hardy plant that has excellent, vigorous growth – making it a great choice for novices. It can really bulk out and will fill in any available space, so make sure to take care when growing indoors. When given enough space outside this beast can reach up to 3m tall. With a quick flowering time of 7-8 weeks, Afghan Kush is going to be very appealing to those looking for an easy, quick grow. When grown indoors you can expect a yield of around 400-550g/m². If you want to grow Afghan Kush outdoors, then you will need to make sure you are in a suitable warm environment (such as Spain or Italy). She will be ready for harvest around late September and will yield you in the region of 150g per plant in an ideal setting. Our Afghan Kush cannabis seeds will give you a solid indica grow with some very favorable results. This is not an all-singing, all-dancing super strain; but a good solid, easy to grow basic, that can act as a good bread and butter strain for your grow room. If you are novice looking for a good first strain, or a veteran looking for a fast growing strain to bulk up your everyday smoke stores, then Afghan Kush may be for you. Afghan Kush from Zativo is available only as feminized seeds. Regular seeds are not available at the moment. In 1 seedbanks, we found 4 offers between USD 3.96 for 1 feminized seed and USD 31.13 for 10 feminized seeds. If you are looking to buy Afghan Kush Cannabis Seeds from Zativo somewhere - have a look to our Afghan Kush Price Comparison page with all current offers from all the connected seedbanks and shops - or visit one of the following tested, trustworthy and recommended seed-shops directly to check out their current Afghan Kush offers: Zamnesia. Do you know something more about Zativos Afghan Kush? Please help to make this database better and upload/connect your information here!